Quaker started with a goal to give every household the wholesome goodness of our oats. 140 years later, we continue to nourish countless families with our quality product, making us the world’s #1 brand of oats. 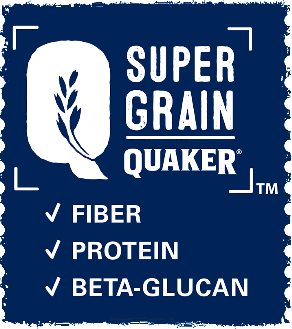 WHAT MAKES QUAKER A SUPERGRAIN? Oats are one of the most nutrient-dense foods around. That’s why we call it a supergrain. Discover what the nutrients in Quaker Oats can do for your body. a. Oat bran – contains the greatest amount of Beta-Glucan and is a rich source of B vitamins and nutrients. b. Oat endosperm – the largest section of plant serves as the main energy source, containing the most carbohydrate and protein. c. Oat germ – the heart of the grain is loaded with nutrients like B vitamins, vitamin E, trace minerals and phytochemicals. Fiber in oats can help slow digestion and the release of glucose into the blood stream. So, you feel full for longer and have lasting energy throughout the day. Just one-half cup of oatmeal provides 15% of the daily value of fiber. It contains only 150 calories. And when consumed with one cup of fat-free milk, it can help keep you full for up to 4 hours. Quaker Oats is also a rich source of Beta-Glucan. This helps lower cholesterol, especially when accompanied by a diet low in saturated fat. It is also a source of many vitamins and minerals, which is good for general health and wellness. 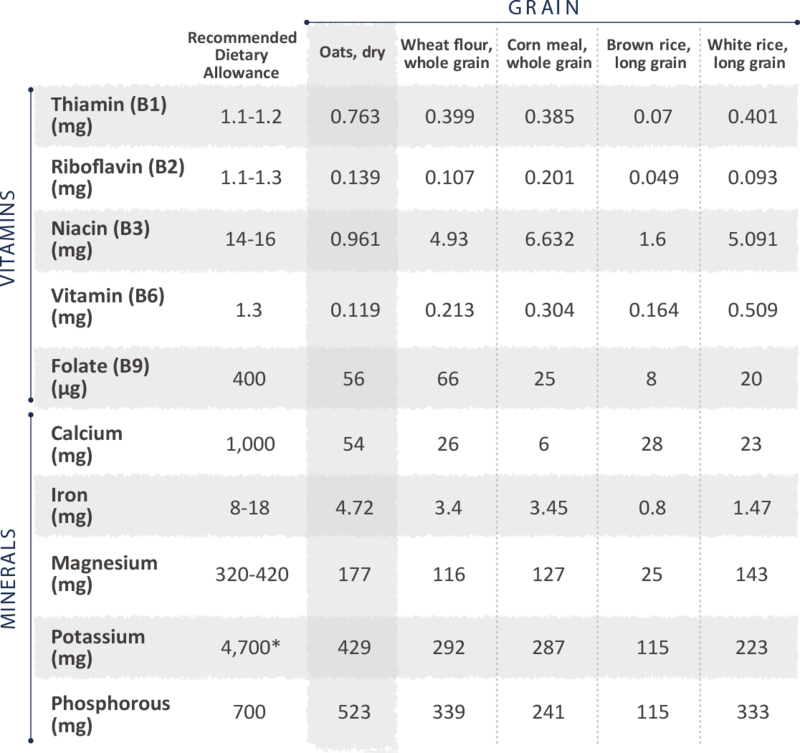 USDA Food Composition Databases; per 100g reference amount (Oats-08402, White Rice-20444, Brown Rice-20036, and Noodle Cup-45258552). US Department of Agriculture, Agricultural Research Service. USDA National Nutrient Database for Standard Reference. Release 28. Slightly revised May 2016. Rebello CJ. et al. FASEB J. April 2013:27:126.4. Hlebowicz J, et al. (2007). Nutr J 6:22. (https://doi.org/10.1186/1475-2891-6-22); Rebello CJ, et al. (2013). J Am Coll Nutr 32(4):272-279; Rebello CJ, et al. (2016). J Am Coll Nutr 35(1): 41-49; Rebello CJ, et al. (2016). Nutr Rev. Feb; 74(2): 131–147.